A dancer who believed art should engage social and political concerns, Anna Sokolow infused her choreography with the issues of her day, whether the radical politics of the Great Depression or the Holocaust. 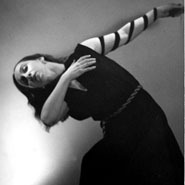 Sokolow began her professional career in 1929 as a member of the Martha Graham Group and went on to become a key player in the development of modern dance. During the Depression, Sokolow joined other Jewish dancers with working-class origins in creating a politically radical dance movement. Beginning in 1939, Sokolow spent significant time performing and teaching in Mexico and is credited as "the founder of Mexican modern dance." In 1953, she received an invitation to work with the new Inbal Theater Dance Company in Israel and she later founded the Lyric Theater there.